"Gumball" Cupcakes and a Discovery! So let me start by saying that I saw this idea in a magazine…I don’t know when it was from, but I think it was a Rachael Ray magazine. I tear pages out from magazines with recipes and/or ideas that I want to try, so I don’t have to save the entire magazine. Sounds like I’m organized, eh? Well, take a look in my pantry at all the random pages floating around, and you’ll see that while the “magazine rip” is good if the idea is thoroughly exercised (like putting said pages in a folder ~ genius!) in my world it is almost worse than keeping the pages in their respective magazines. So, needless to say I think this is from Rachael Ray Everyday (but not entirely sure) from a few years ago (I think). Sorry, I’m trying…really! I didn’t know it was possible and according to most you can’t freeze it because of the chemical reactions, blah blah blah. 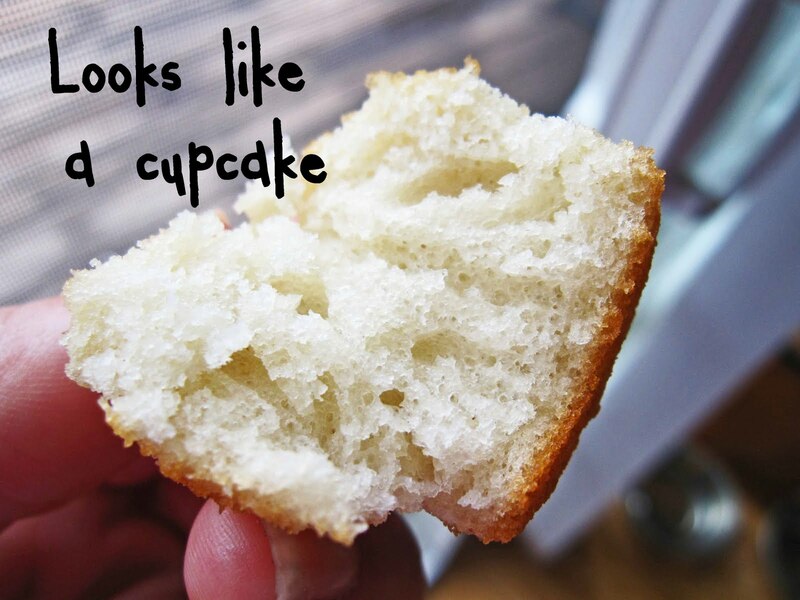 I did a little research before-hand and for all intents and purposes it looked like, ideally, you should bake the batter and THEN freeze the baked cake/cupcake. Well, that wasn’t going to happen on the particular day I made this batter, but I felt cake-guilt so I didn’t want to throw the batter out. Enter Ziplock. Begin super scientific experiment: Freeze Cake Batter. So after 2 months of looking at the bag o’batter in my freezer I decided to give it a go. Nothing to lose, right?! I decided on mini-cupcakes and pushed forward. When they came out of the oven I was super surprised! See the pretty dome on the cupcake? Now, I am not sure if this would be ok for a full cake, but I will tell you, those mini cupcakes were Cupcakelicious! 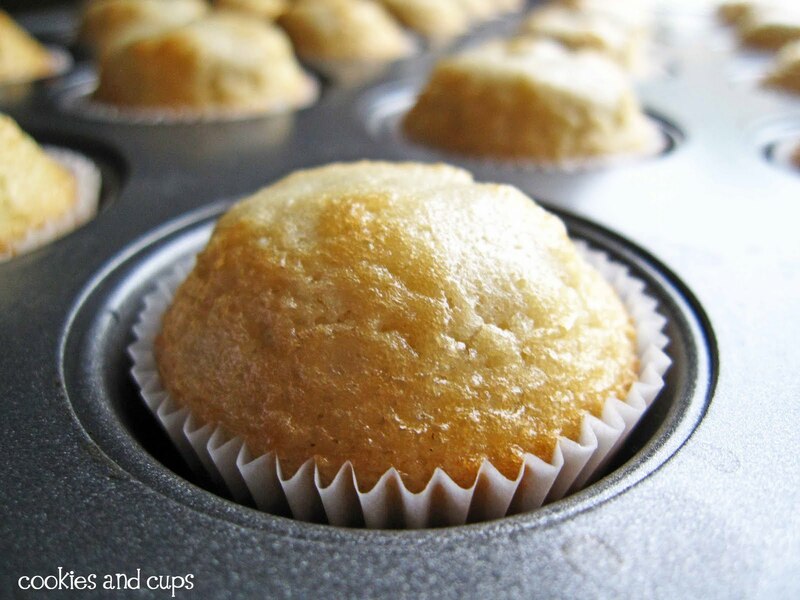 SO, I’m here to tell you , in a pinch, freeze it…you can make cupcakes for your kiddos and not have to make a full batch…that certainly saves my hips! I found the red mini cupcake liners at Michaels…they were Wilton brand, so I am thinking you could find them at your local craft store too! 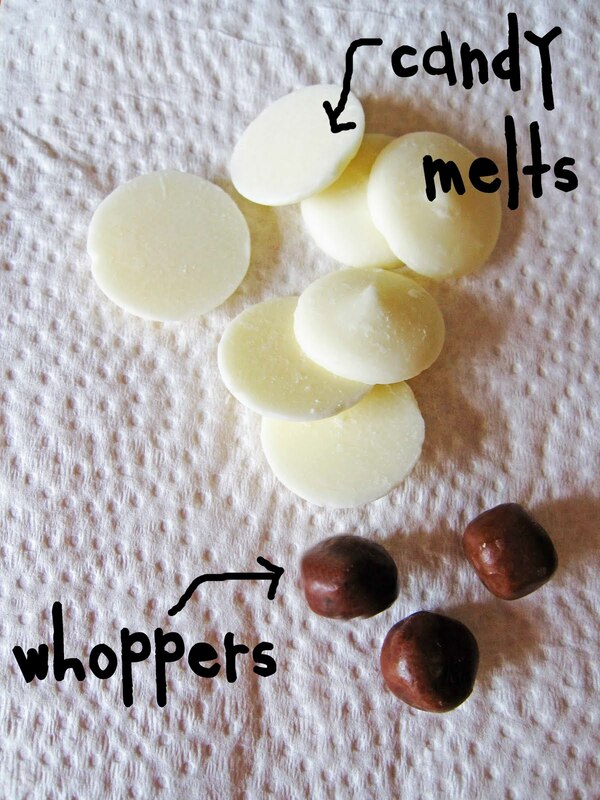 Cut the whoppers in half. You certainly don’t have to use whoppers, but they worked for me. Same with the candy melts..you could use fondant, or Necco Wafers. 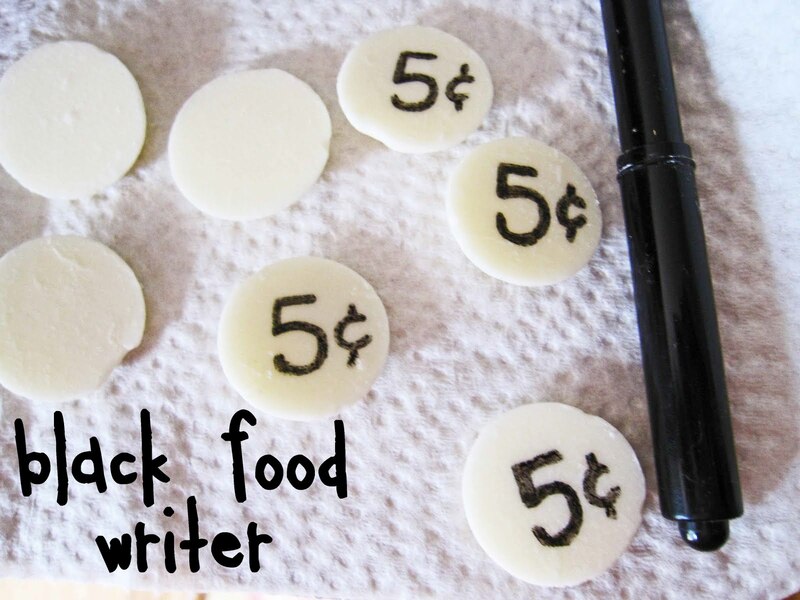 With a black food writer write on the back of the candy melts. 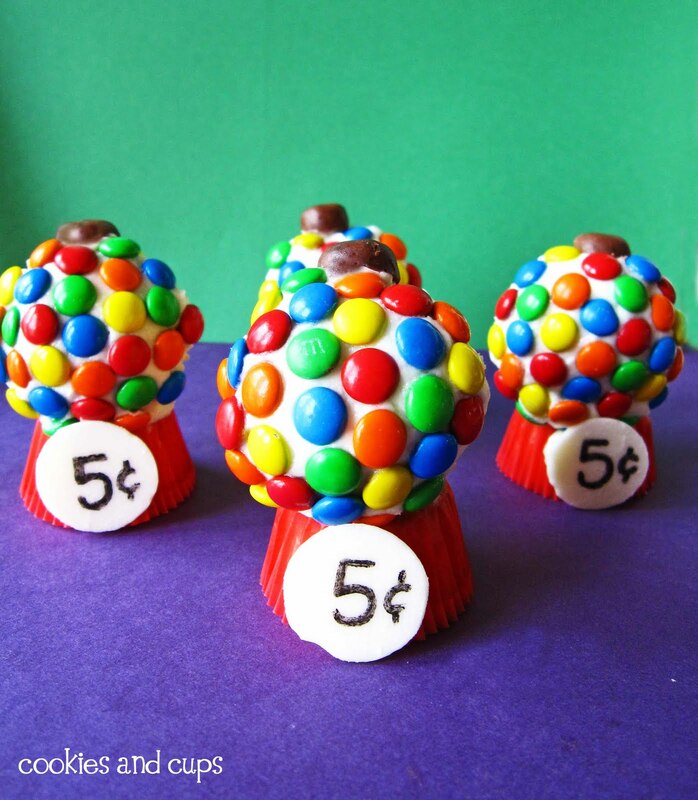 Make sure you place the top cupcake on weighted evenly, otherwise they will tip over…those M&M’s add a little weight! Pretty cute, huh? I found that mini cupcakes worked for me, but I would imagine you could use regular size cupcakes, you would just have to use standard size M&M’s! Let me know if you have any experience in the freezing of batter…good or bad, I wanna know! they are so SUPER cute! my kids would love these! Cuteness! I love how those look. Aww, these are so cute and colorful! These are so cute. I have never frozen batter, but would love to know if you attempt it. super cute, i'm hosting an end of year preschool party and these would be ideal for it! thanks!! Very very cute Shelly!! My boys would think this is so cool!! Thanks for sharing!! These cupcakes are adorable! My kids would love them. These are ridiculously cute and so clever. With my giant children I'd probably have to make them regular cupcake size. P.S. Oh my gosh! You froze cake batter – and it worked!!!! those are SO CUTE!!!! I hope a party or something comes up soon so I can make them. Wonderful idea on freezing the batter and beautiful domes! I love those. So darn cute! 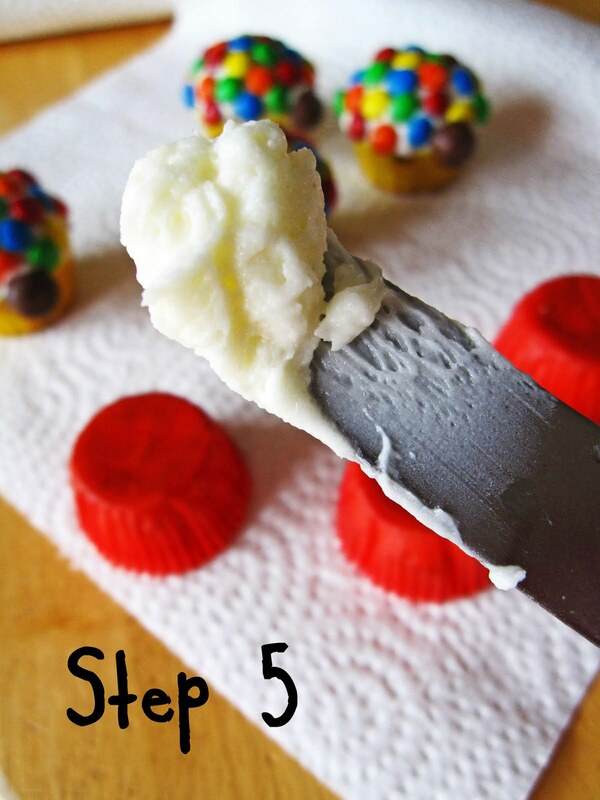 Great tip with the freezing of cake batter! Thanks! what a great idea! you're so creative!! This is a wonderful idea!! you did great. thanks for the tutorial. Those are ADORABLE! great idea! Such a cute idea – I love these! And freezing cake batter – I never thought that was possible. I freeze leftover cupcakes pretty often, but the cupcakes always seem sticky on the top after they thaw. Maybe freezing the batter is a better solution! I've frozen cake batter for years… I learned from my mom. I guess I didn't realize you weren't supposed to. I do usually (but not always)add it to another fresh batch when I use it. so cute! what an awesome idea. OMG, SOOOOO Cute! Thanks for sharing! Wow, super cute idea! I have no idea they were cupcakes laying on their side. Love these! I've never tried freezing cake dough. I'll take your word for it that it works. stupendous! 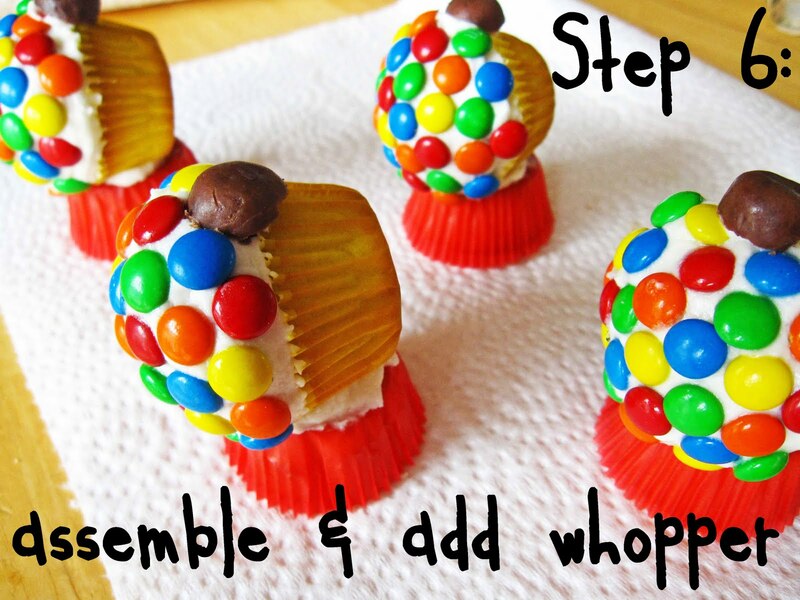 i've never seen such an original and adorable cupcake idea–nicely done. your execution is perfect, and i'm so glad the scraps weren't wasted. that'd be tragic. and who knew cake batter froze so well? excellent tip. now those are soo cute!!! My gosh these are adorable! Perfect for a kids party…or for a group of medical students in severe need of a pick-me-up after five hours of class. I am definitely bookmarking this idea. So cute! Thanks for the detailed instructions and pictures. You make the recipe a lot less scary! They look so cute!!!! What a fabulous job you did. Omg wow what a cool idea 🙂 these would be perfect for a kids party, it would be so cool if you made the frosting bubblegum flavour as well :D.
Oh my goodness! They are adorable! I've never tried freezing cake batter either – thanks for the tip. I think these are the absolute CUTEST cupcakes I have ever seen in my entire life! I am in love with the gumball cupcakes! I think they turned out great and I can't wait to give them a try! So cute! I've never frozen cake batter before, but now that you've documented your adventure I'll give it a try next time! Thanks so much for joining in the fun at Cupcake Tuesday! Pretty clever and cute! You did good and gave a great lesson! Oh! LOVE. So perfect and creative! You are the best mom ever. And the batter freezing just blew my mind. these are so cute, perfect for a play date.. I never even thought to freeze cupcake batter but I'm glad it worked! These cupcakes are super cute and I love that cupcake top sandwich- mmm! Oh my gosh, these are stinkin' adorable. What kid wouldn't go crazy over having a treat that looks just like a gumball machine? I love it! I'm also really happy to hear that your frozen batter baked up so well. That's definitely something I'll keep in mind! A. I cut the same cupcake out of the same magazine…you're right, I think it was from a couple years ago. Great minds, um, tear out the same things from magazines! Yours are darling! B. Frozen BATTER!!! Genius! That makes me want to go home and whip up some batter just for the heck of it. These are seriously the cutest thing I've seen in a while. My kids would LOVE them! I host a Messy Monday and Transform Tuesday linky parties. I would really love for you to link these up to one of them. Freezing batter? That is genius! I can make a few cupcakes whenever that sweet tooth hits. The gumball machines are soooo adorable!!! VERY cute! Thanks for the frozen batter tip. Good to know for thos times you don't want to bake up all of a batter. These gumballs are beyond adorable! These are too cute! I love it! Oh, those are too too adorable! Great job, those are so cute. Those are sooo flippin cute! You remembered correctly–the gumball cupcake came from the August 2008 Rachael Ray Magazine. I designed the gumball cupcake and entered in the contest. It was fun to see it in print in the magazine. Yours look very cute you did a great job! Thanks Julie! I was surprised that they didn't really "credit" anyone in the publication…or maybe I missed that too! Such a cute idea ~ glad you found them! These are adorable! I wonder how it would work though to use the tops you cut off to make the tops–frosting in the middle of two of them to make them round (that's what I was thinking you did until I got to the end where you put the other cupcake on top. 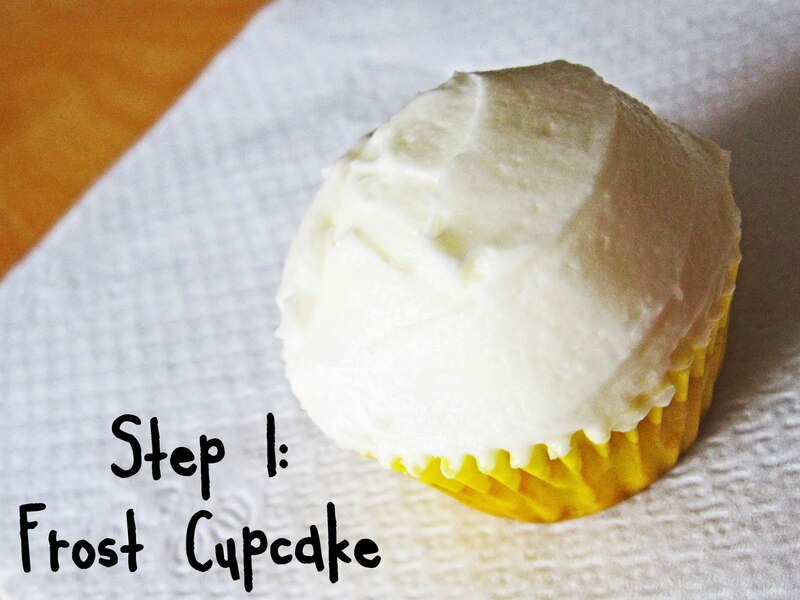 Very good to know you can freeze the batter for cupcakes! a-ma-zing!!!!!!!!! what a cute cupcake!! Julie did and great job designing them for the magazine contest and you did a great making them too! Thanks! 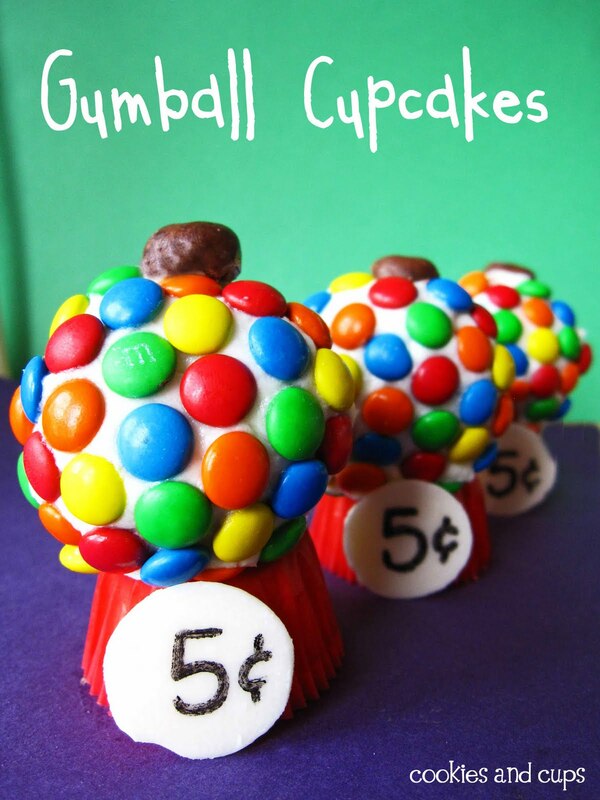 I have been looking for cupcake/cake gum ball ideas and these win by far. My daughter is thrilled! We’ll be having them later this month for her birthday party. What a clever idea to freeze the batter! Do you think it will work for muffinbatter as well? I imagine it would. I used a boxed cake mix to try out the experiment, so I can only go based on that, not a scratch mix. That’s so great!! I had ripped out the page in RR, but couldn’t see any credit on the page! So glad you found me! Very cute! 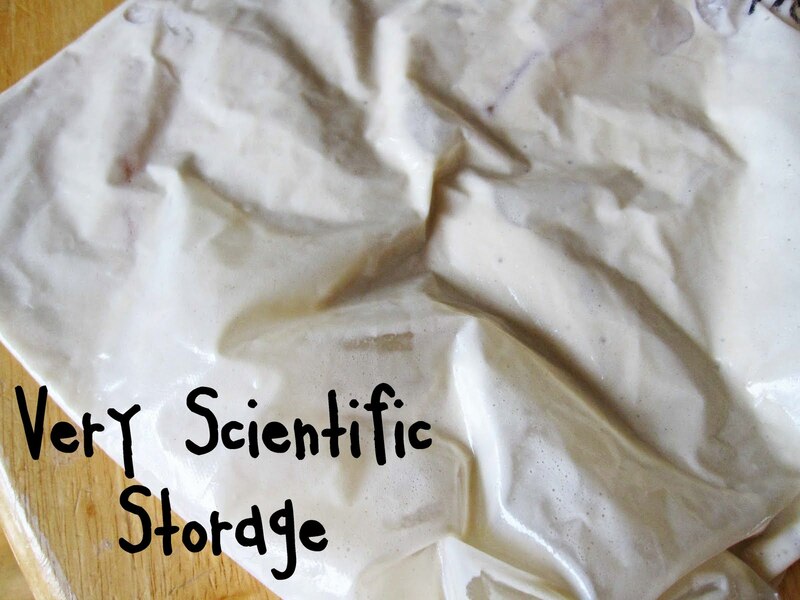 Love the frozen then fridge-thawed batter idea. 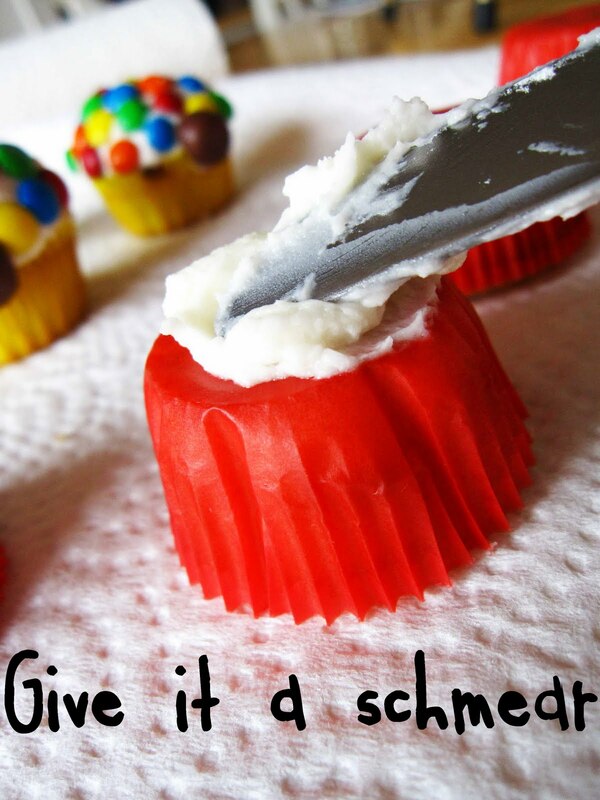 It would also work to cut each cupcake in half, turn half of the bottoms upside down, creating bases, like you showed here, but instead of eating any of the tops, set them all aside to use later. 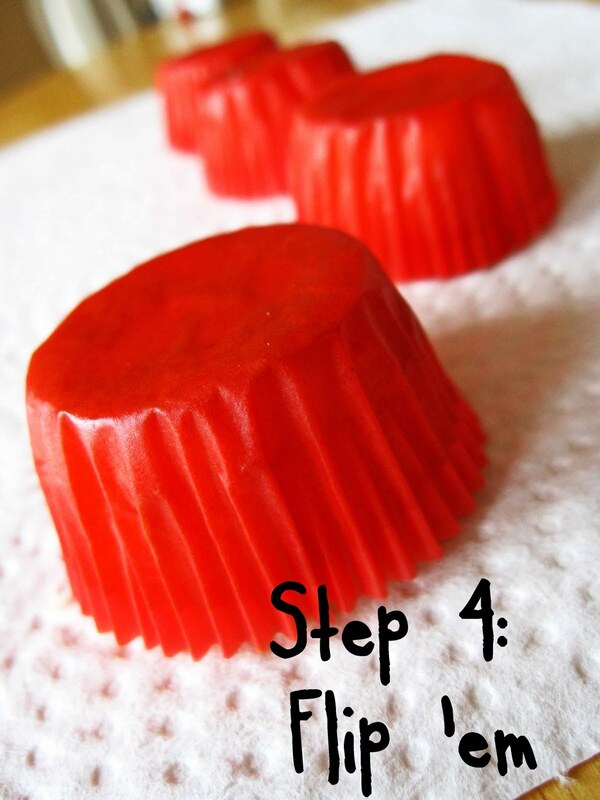 Discard the other half of the bottoms (those are great for snacking). Turn all of the top halves round-side-down. 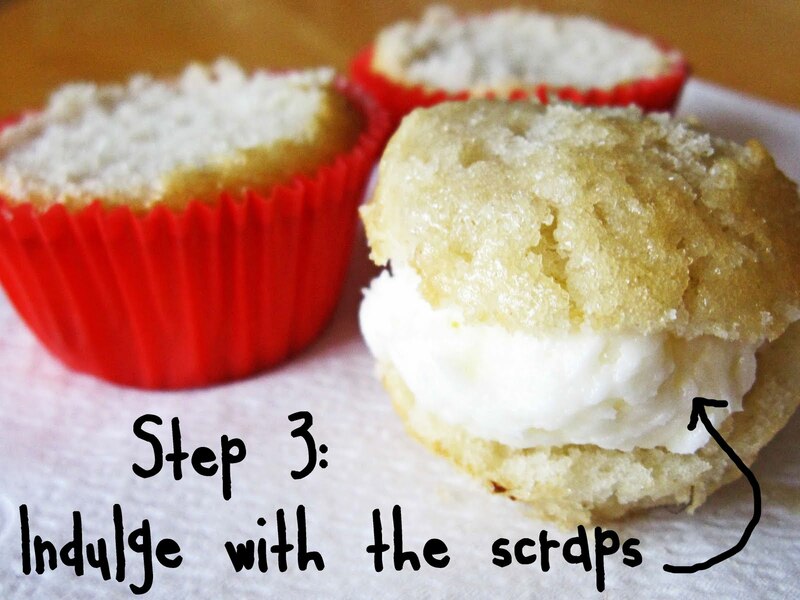 Put frosting on the flat parts of half of the tops, then place the flat parts of the other half of the tops down, creating frosting sandwiches that look like balls. On each ball, cut a small flat part off of one side, discard it, then put a little frosting on that newly cut flat part of the ball. 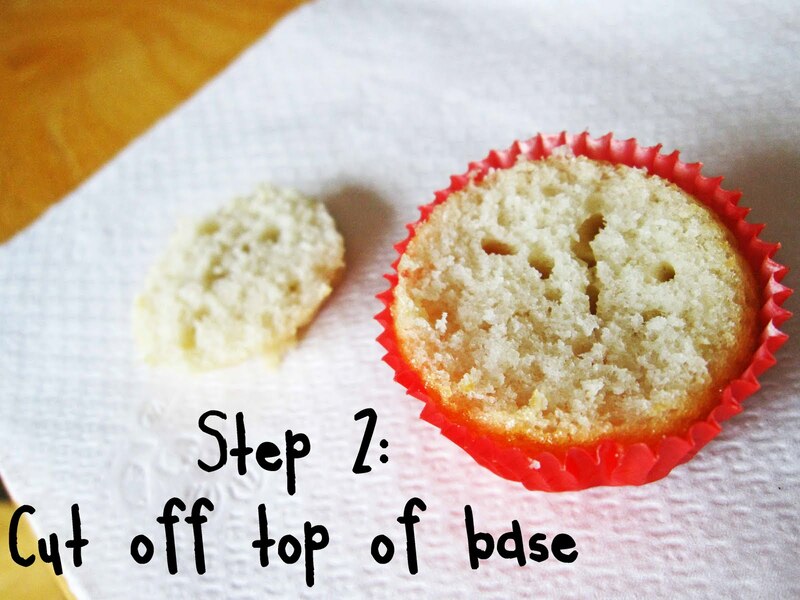 Set the ball down onto one of the bases, then finish frosting it. 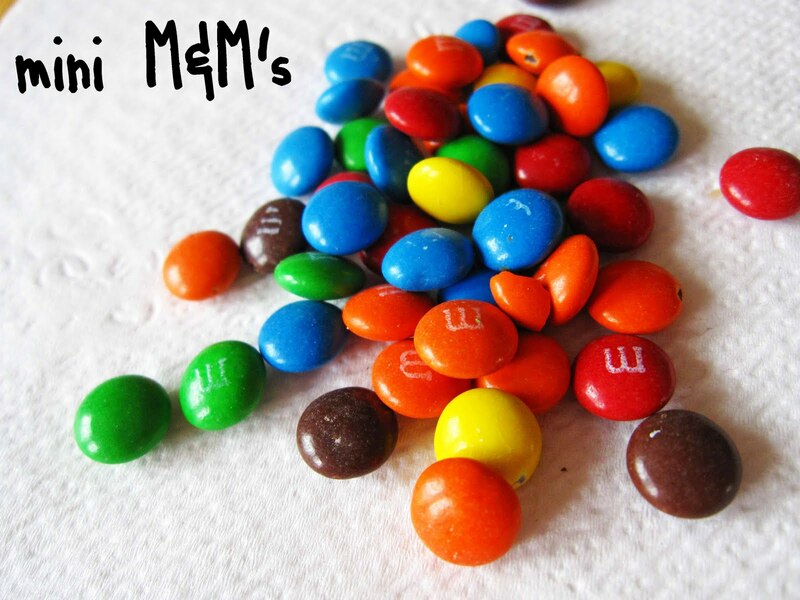 For those who can’t have chocolate melts because of milk allergies, Skittles will work just fine for this project. I would like to know how you got the edible markers to mark on the candy melts!! I tried and tried and they would not write for me! What a waste of $8!! What brand of markers did you buy?